Whether it’s bequests, stocks or IRA transfers -- your legacy gift ensures that our shared goals of bringing scientists to policy continues. Established in 1988, CCST has been providing scientific and technical analysis to our state for 28 years. 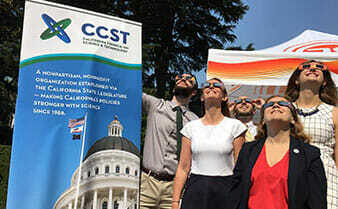 We’re a trusted partner for scientific analysis and support making California stronger with science. Your legacy support will help continue CCST’s presence in our legislative and policy arena. Becoming a member of our legacy society ensures that the science principles and analysis you care about will be available to policy makers. A bequest is one of the easiest gifts to make. With the help of an advisor, you can include language in your will or trust specifying a gift to be made to California Council on Science and Technology. "I give, devise and bequeath to California Council on Science and Technology (tax ID # 94-3093624) the sum of $___________ (or state a percentage of your residuary estate) for the benefit of its general purposes." This is suggested wording; please consult your attorney or an estate planning professional when preparing legal documents. For bequeathing a portion or all of your retirement fund or IRA select retirement plan funds above. You can also bequest your retirement or IRA Funds. A retirement asset, such as an IRA account, makes an excellent bequest to CCST. If the IRA were transferred to your family, much of the value may be lost through estate and income taxes. 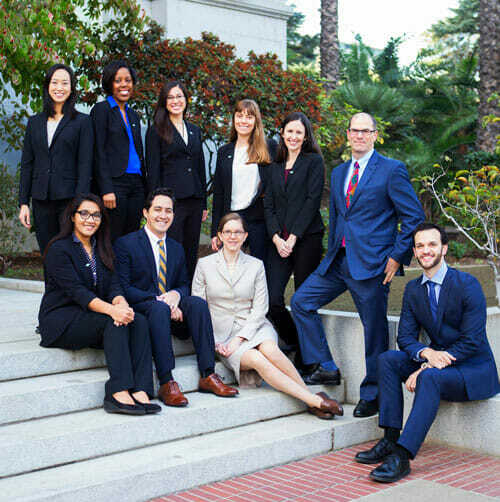 By designating the California Council on Science and Technology as the beneficiary of all or part of your IRA (using a beneficiary designation form provided by your advisor), the full value of the gift is transferred tax-free at your death and your estate receives an estate tax charitable deduction. Thank you for including CCST in your bequest planning! Stock donations are particularly attractive if they have increased in value - you will receive a charitable deduction for the value of the donated shares, and you may not have to pay any capital gains tax on the increased value of the donated shares. Be sure to talk with your tax advisor for the best scenario for you! Option 1: Electronic transfer: your broker transfers shares to CCST using our DTC number; click here to download our stock form. Option 2: Paper certificates: you must endorse and physically mail the paper certificates to CCST; see below for details when using paper certificates. Either method is acceptable, but it is necessary for you to contact your broker to initiate the transfer. If the certificate(s) are in your name, please endorse the back of the certificate to sign over to CCST. Send this with completed stock power form, in separate envelopes, via registered mail to the address below. If you have any further questions, please call Donna King at (916) 492-0996. Note: This information is not intended as legal, tax or investment advice. For such advice, please consult your attorney, tax professional or investment professional. Do you have an IRA and you are 70 ½? Then you must take the distribution, but what if you don’t need or want the income? You can assign your distribution to the California Council on Science and Technology and avoid the distribution counting towards your taxable income! Charitably minded taxpayers have enthusiastically embraced the IRA charitable rollover as an opportunity to transfer up to $100,000 each year to charity without it being treated as a taxable distribution. The gift must be made directly from the IRA to an eligible charitable organization; if you take possession of the funds first, then it is a taxable distribution to you. Transfer directly to CCST to avoid taxable income. Gifts must be outright, and no material benefits can be received in return for the gifts. Thus a transfer for a gift annuity, charitable remainder trust, or pooled income fund is not permitted. Gifts cannot be made to a donor advised fund, supporting organization, or private foundation. The gift can only be made from an IRA. Gifts from 401(k), 403(b), and 457 plans are not permitted. You want to make a charitable gift and your IRA constitutes the largest share of your available assets. You do not itemize your deductions. In that case a personal IRA distribution increases your taxable income without the benefit of an offsetting deduction. An IRA charitable rollover will not be included in your taxable income even if you do not itemize other deductions. You would like to make an additional charitable gift, but it would not be deductible because of the annual limitation of 50% of adjusted gross income for charitable contributions. The IRA charitable rollover is equivalent to a deduction because it is not included in taxable income. If you want to make a qualifying transfer gift, contact your IRA administrator and instruct that person to transfer funds to CCST.